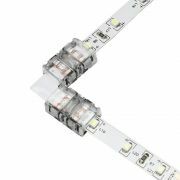 This IP20 rated l-shaped strip light connector allows you to connect two RGB 5050 LED strip lights together, making a 90 degree corner. 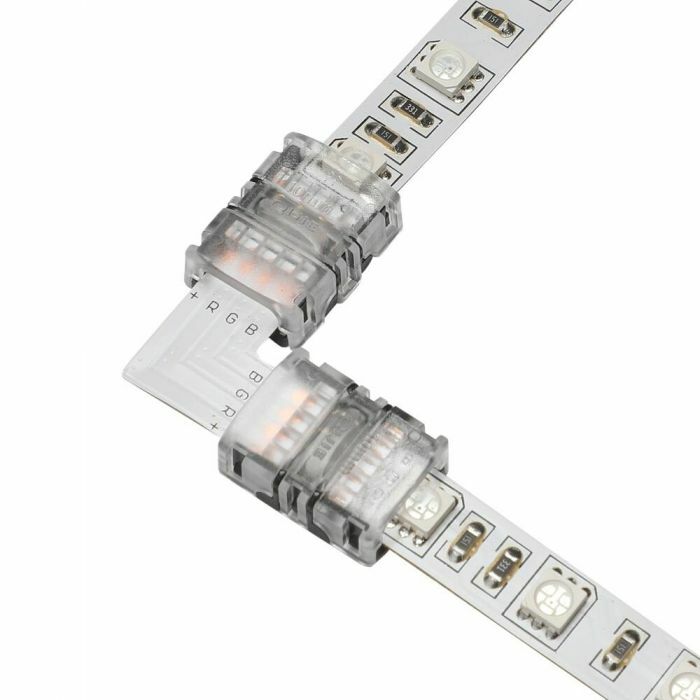 The quick clip mechanism provides a firm, secure grip and ensures easy installation. Just insert the strip light at the cutting point and close shut.